I always knew that if I were going to created something similar it would have to be out of paper instead of fabric. I don't even think I could get Wyoming to look write in fabric. 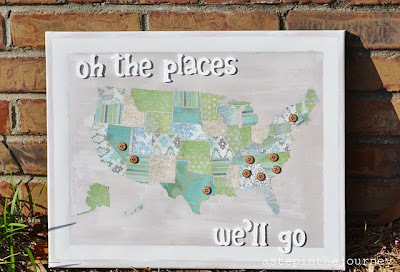 Fast forward to this post from Laura Beth of A Step in the Journey. 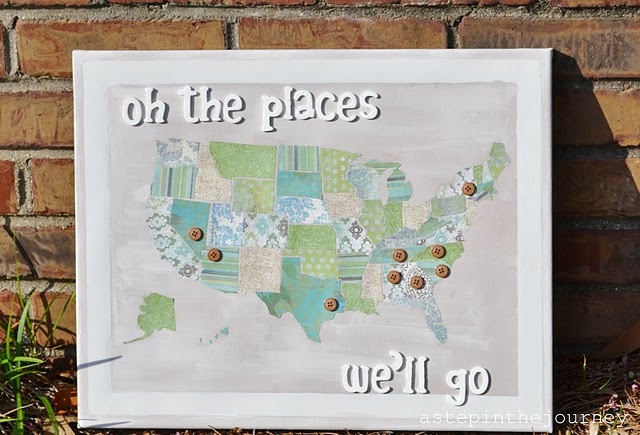 She did create a similar map out of paper. 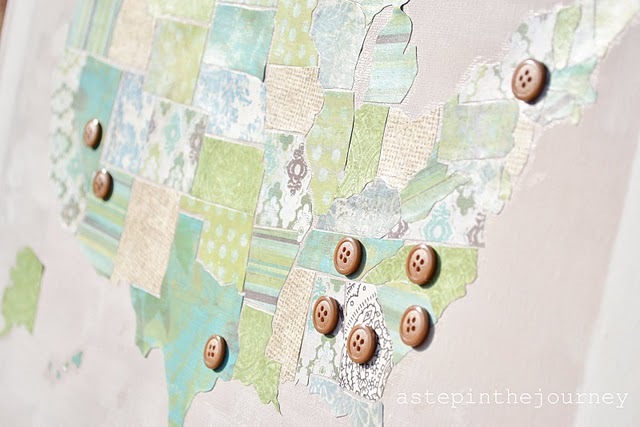 And then added buttons for each of the places that she has lived or visited with her husband as an anniversary present. 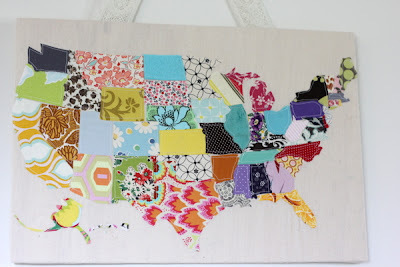 You can see the full tutorial for this scrapbook paper map over on 36th Avenue. oooh, I love this too! So many possibilities with scrapbook paper!